Cake Angels: What do Super Heroes Eat? What do Super Heroes Eat? What do Super Heroes Eat - well they eat Cake Angels Super Hero Cookies of course. 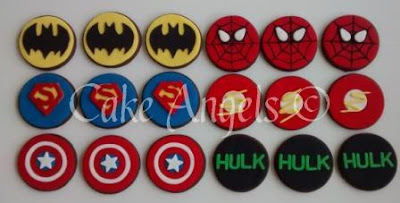 These lovely Cookies were made for a special little Super Hero and his friends who were having a Super Hero themed 4th Birthday Party.